2015 is the best time to make that career change you’ve been contemplating all year! 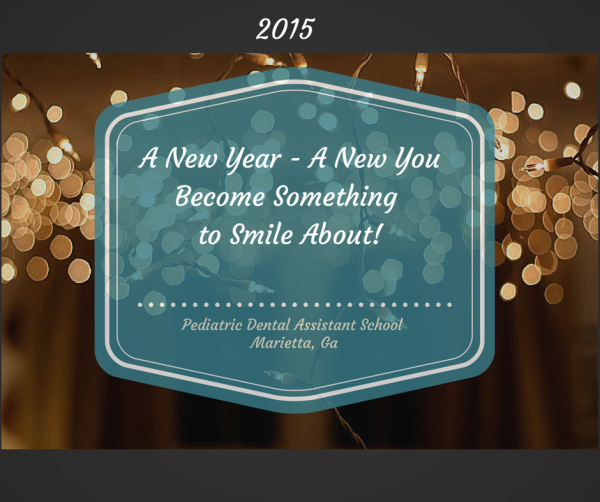 Lucky for you, our next class at Pediatric Dental Assistant School is scheduled to begin Jan 10th, 2015! Registration deadline is January 5th, 2015. Make the best decision for yourself and your career in the new year in just 9 weeks! If you enjoy working with children and teens, and are looking for quality skills that will last you a lifetime then Pediatric Dental Assistant School is right for you! We offer a fast-start training program that ensures once you graduate, you are a highly skilled, competent Pediatric Dental Assistant!